Please Note: We sold out of stock before Eid last year, so we strongly recommend ordering early to avoid disappointment! 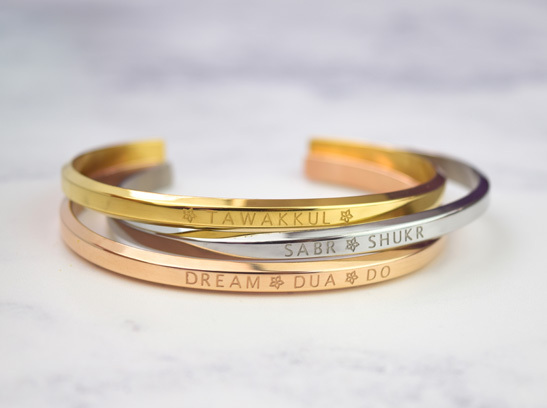 A collection of beautiful and unique bangles inspired by life, faith and positive action. SPECIAL LIMITED-TIME OFFER ONLY FOR RAMADAN! Save £29 off the full price! These bangles are worth £78 as a set but with our special Ramadan only offer you can purchase all 3 for just £49! Delight your loved ones with a special and unique gift they'll never forget! We know finding the perfect gift isn't always easy, so we've done the hard work for you! 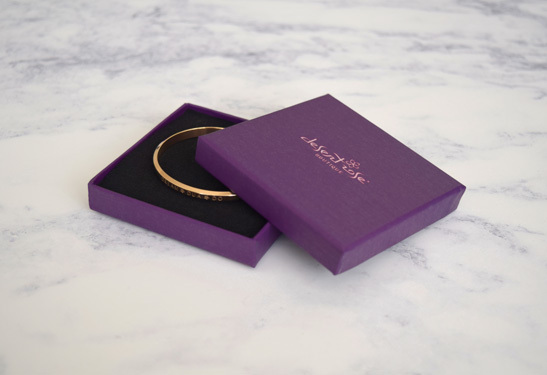 Each bangle comes in its own beautiful gift box so you can gift each separately or give as a whole set - the choice is yours. Perfect for any special occasion such as weddings, graduations, Eid or simply to share your love. Guaranteed to impress, you won't find these anywhere else! UK Standard Delivery: 3-5 working days (next day delivery is also available if ordered by 1pm, Mon-Fri). 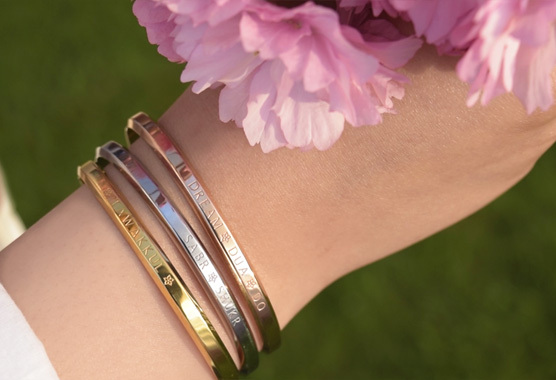 "I'm so in love with these beautiful bangles! Not only do they look amazing, they really do help to give me a motivational boost throughout my day. I didn't think they would be so effective in reminding me to increase in dua or to have more sabr but they really are! I have now bought two more sets as gifts for family and friends!" "These bangles are so beautiful, and such good quality. I glimpse down sometimes whilst I’m wearing them and see the reminders which are really beneficial. Especially the sabr bangle. I think we all need a bit more sabr. The colours are brilliant too, they match with every outfit! 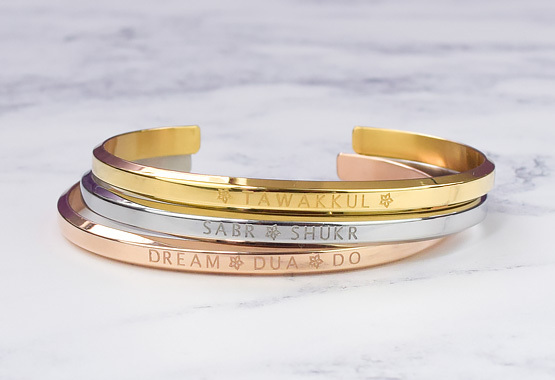 Whenever I wear these bangles, I get so many compliments, a few of my friends have asked about them a lot, so I’m definitely going to surprise them with these for Eid!" If you are not satisfied with the quality of your purchase, you can return the bangles within 30 days for a full refund of the purchase price. 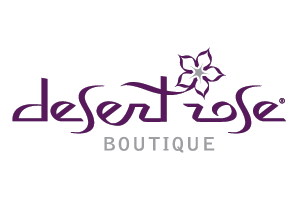 Copyright © Desert Rose Boutique 2018. All rights reserved.